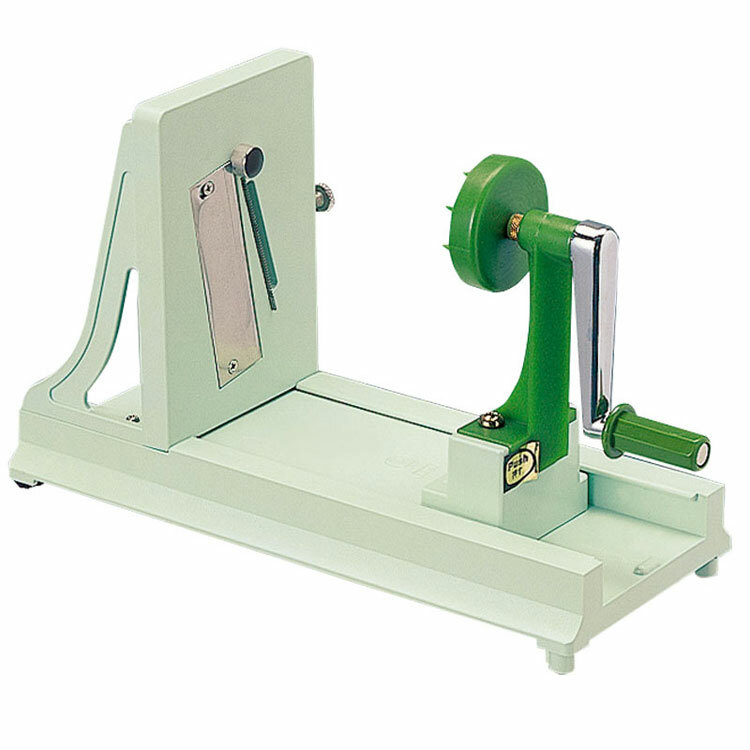 Safe and simple to operate with rotating lever vegetable slicer will help anyone prepare beautiful garnishings. Comes with 3 interchangeable blades: fine, medium and coarse. Made in Japan. W 11" - W 4 1/2" - H 6 1/2"